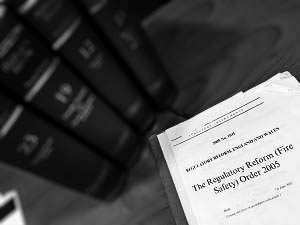 Are you compliant with the Fire Safety Order? Fire Guard Services Ltd have been promoting fire safety, ever since the birth of the company. The Fire Safety Order 2005 has forced business owners to make sure that they have taken reasonable steps to reduce the risk from fire and to ensure that people can escape the premises safely if a fire was to occur. If you feel like you need to do more to protect your employees and your premises, the first step in doing so is to have a thorough fire risk assessment in place. A fire risk assessment would involve a full inspection of your place of work to assess any fire safety precautions that are already in place and any fire safety precautions that need to be added. Another important step in ensuring the safety of your employees and premises is to assess the existing fire safety management within your organisation and to consider who the occupants are, how they should respond if a fire occurs, who will take the appropriate actions and what plans can be put in place to make sure everyone can exit the building swiftly and safely. Are you compliant with the Fire Safety Order 2005?